LeBron James was in full flex mode last night. Not only did he gives us a first look at the Nike Air Zoom Generation SVSM 2018 Retro, but he also debuted the Nike LeBron 15 Graffiti colorway. This Nike LeBron 15 is a nod to the original Nike Zoom LeBron 4 “Graffiti” from 2006. 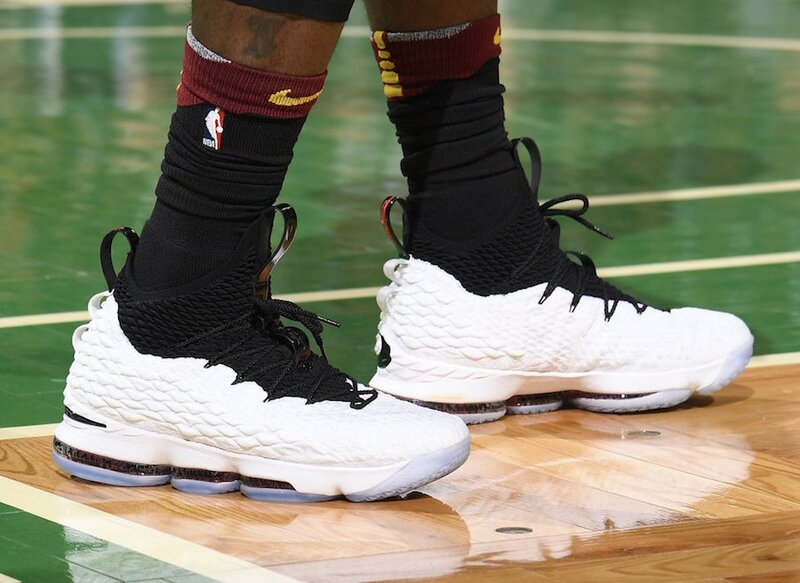 Much like the LeBron 4, the LeBron 15 sports a White and Black color scheme with stylized writing on the midsole’s Zoom bag. Additional details includes hits of Red atop an icy outsole. Look for the Nike LeBron 15 “Graffiti” to release on March 2nd at select Nike Basketball retailers. The retail price tag is set at $185 USD.